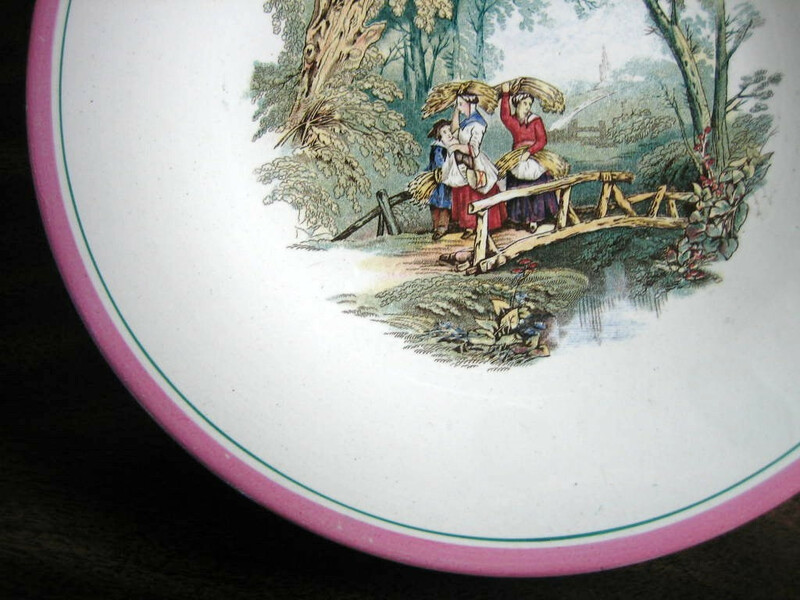 Click the button below to add the Antique 1870s English Women Bridge Pink Edge Pottery Plate to your wish list. 9". 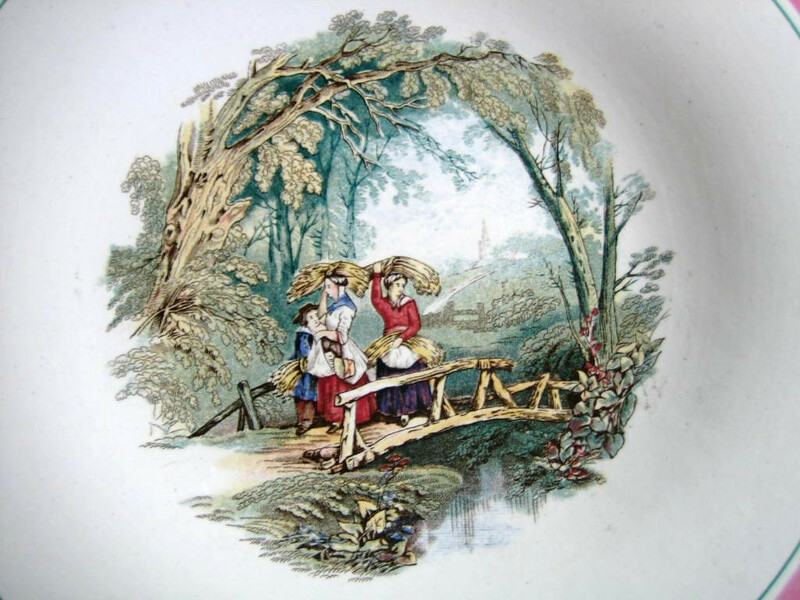 I LOVE this plate--from my personal collection. Very fine pottery plate ca. 1870. Made in England.